This fun rustic slate sign is finished off with a rope handle. This rustic slate sign can be hung anywhere and reads "I love you with all my bum. 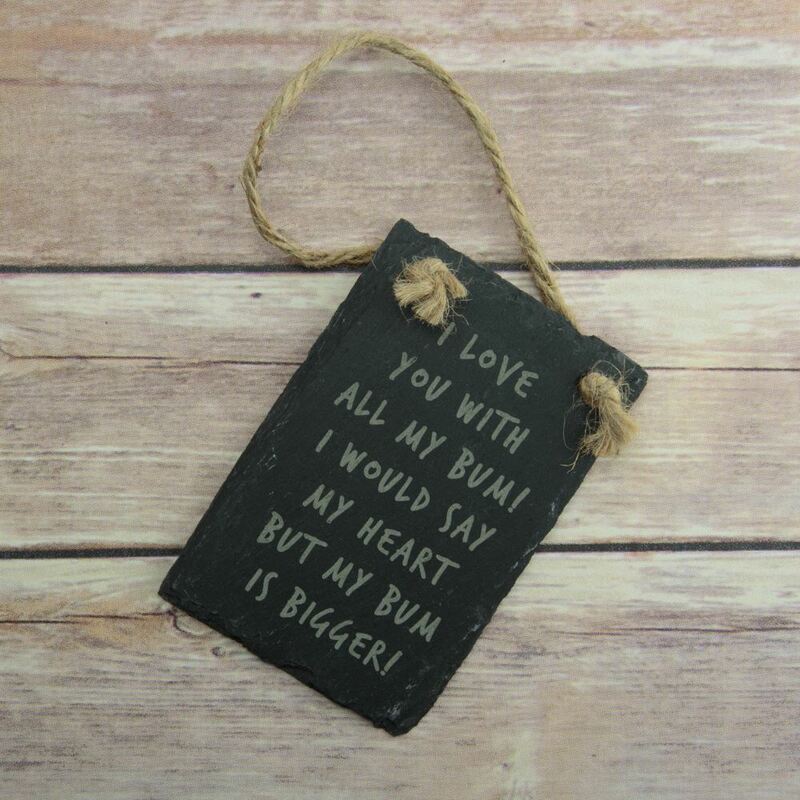 I would say my heart but my bum is bigger".